There are no messages on Danal's profile yet. Formula V engine builder in the 1970s. Electronics Hobbyist (search YouTube for "Danal Halloween"). Private Pilot. 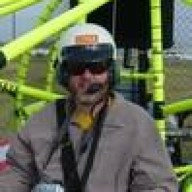 Light Sport Aircraft Repairman. Contents of above post © 2014, 2015 Danal Estes. All rights reserved. No part of this post may be reproduced, stored, transmitted, or disseminated in any form or by any means without prior written permission.